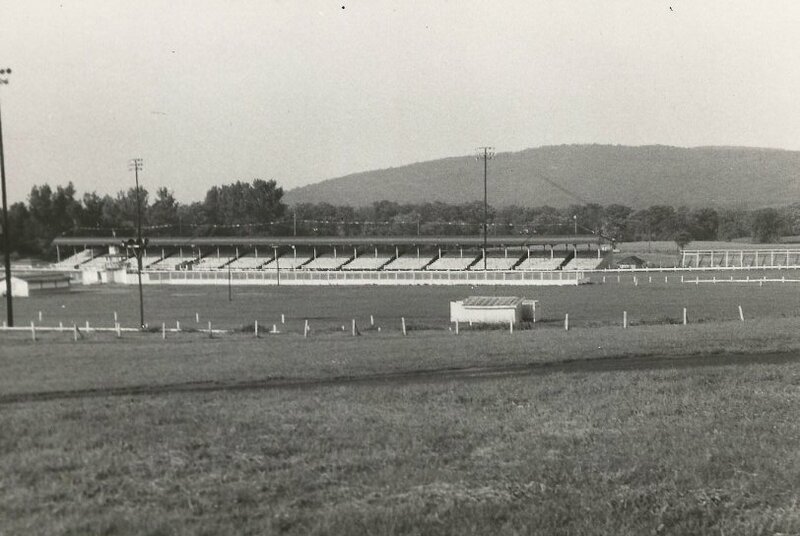 Since its beginning in 1939, Williams Grove Speedway has been one of the top weekly sprint car tracks in the country. 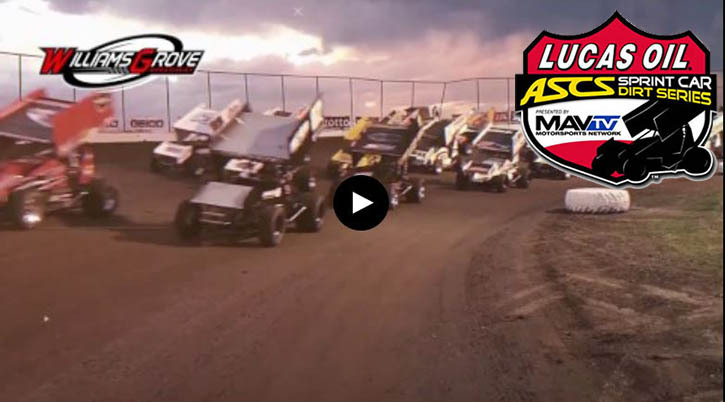 The speedway is a 1/2 mile banked smooth clay oval with speeds reaching in excess of 100 mph. The 2019 racing season runs from March 17th to October 5th. Our largest show, the World of Outlaws National Open will pay $56,000 to the winner plus over $150,000 in prize money. Season admission prices range from $15 to $45, discounted youth (Ages 13-20) $10-$20 and Kids 12 and under are always FREE. Special sanctioned race events include the World of Outlaws Sprint Cars, United States Auto Club, All-Star Circuit of Champions, United Racing Club, PASS and ASCS among others. Other racing divisions appearing throughout the season include 358 sprint cars, super sportsman and limited late models. We strive to be a family oriented facility by hosting School’s Out Night, the Math Fact Challenge and supporting many local and national charities. Courtesy of Hoseheads.com, the premier sprint car internet website, the first 200 kids ages 12 and under entering the speedway through the main grandstand admission gate will receive a FREE chocolate Easter bunny. 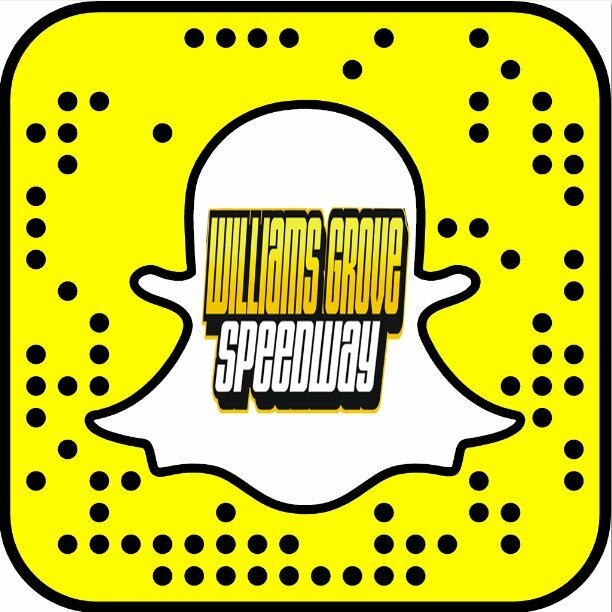 Another round of Friday rain has halted racing at Williams Grove Speedway and tonight’s All Stars Circuit of Champions Sprint Cars event, slated to be the Tommy Hinnershitz Memorial Spring Classic on April 12. Mid-afternoon showers and the clear expectation for more steady, heavier rain during the evening forced the decision. 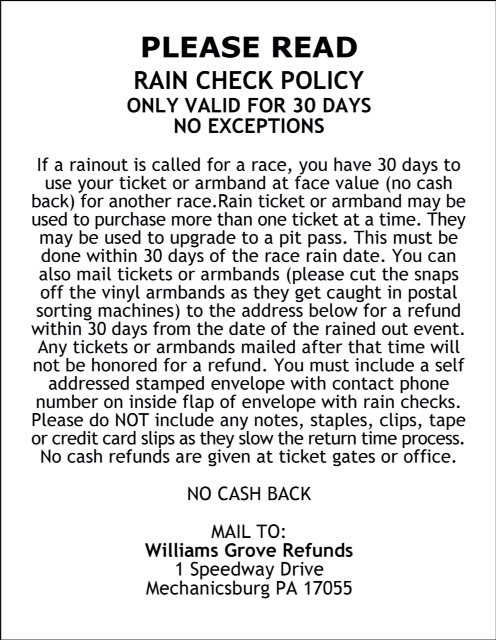 Williams Grove officials and All Stars Officials are pleased to announce that the circuit will return to stage the Tommy Memorial Classic, paying $5,000 to win, coming up later this season, on Friday September 20. The 358 sprint cars are also on the September 20 racing program. 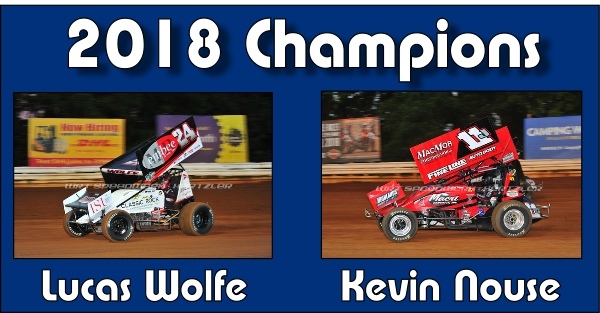 Mechanicsburg –Danny Dietrich wired the field to win the 25-lap sprint car feature at Williams Grove Speedway on Friday night, outracing Steve Buckwalter and Cory Hass for his 20th career oval victory, worth $4,080. In the $3,000, 30-lap ULMS Late Models main event, York’s Rick Eckert scored his seventh career speedway feature win by driving by Mason Ziegler late in the event. Dietrich took his win from the pole but saw his pace halted and slowed at times before he could reach victory lane. Click here to read full results. Please download the 2019 W-9 Form and fill it out prior to the season to avoid lines. The displayed photos were picked by museum staff member Ben Turner who hasspent many hours sorting and cataloging thousands of photos in EMMR's collection. EMMR photos are available for public viewing during museum hours. The museum is currently open every Friday from 10 AM - 4 PM and will begin its	normal hours of 10 AM - 4 PM on Fridays, Saturdays and Sundays on April 6.